Jubilee Rhinestones at the Olympics! 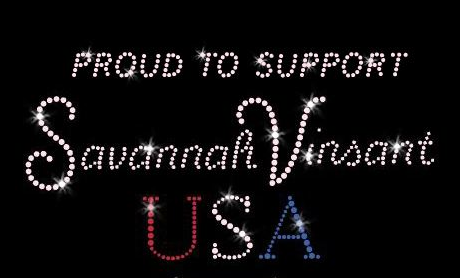 Jubilee Creative Studio was proud to help a community in Texas support their own Olympic athlete, Savannah Vinsant. Savannah is competing in the Trampoline events at the 2012 London Olympics. Her family, friends, and community showed their support for Savannah by creating shirts embellished with a custom iron on rhinestone transfer. 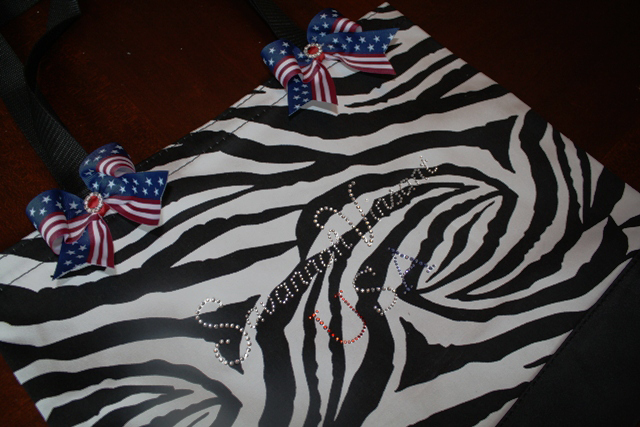 They even made her a personalized bag to carry to the Olympics using our design! We were so excited to play a small role in someone’s Olympic journey. Jubilee Rhinestones provides quick and easy customizable designs as well as fully custom design work to our customers. Our in-house graphic designer will work with you to create exactly the look you want. Savannah’s trampoline event starts at 8am (U.S. Central Time) Saturday, Aug 4th. Check your local television listings to see if her event will air in your hometown. Go Savannah! 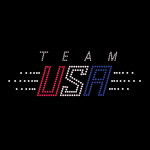 Go Team USA! Go Olympics! !